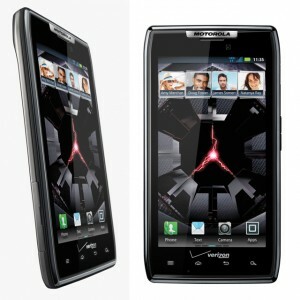 The Motorola Droid Razr is right around the corner. After having one of the most successful cell phones in the world a few years ago, Motorola has been working on a successor. This one is sleek and can interact with other devices including special watches. Read on to find out more on this upcoming new scion to one of the world’s most popular handsets. This is a big “no holds barred” sight of a smartphone. It is equipped with a steel core and kevlar for super strength yet light weight. It has a huge amount of digital real estate and is coated on the inside with something Motorola is calling a “nanocoating”. It is supposed to keep the smartphone from being damaged by water. The thickness is a super skinny, 7.1 millimeters ( .28 of an inch ) thin. Google just got through buying out the Motorola mobile division and it looks like they are aiming to make an iPhone the stuff of history. With all the new antics that a Motorola Droid Razr can do it still is not all that expensive. It costs around $300 with a two year contract at Verizon. The first thing to take a look at is the enlarged screen of the Motorola Droid Razr. This is 4.3 inches of some upper level digital real estate. It has some great clarity to it because of the pixels per inch ( PPI ) that Motorola endowed it with. The actual resolution is 960 by 540 pixels. By comparison, the iPhone 4, with its smaller retina display, has 960 by 640 pixels of resolution, beating the Droid Razr. The display is covered with the Corning invention called “gorilla glass”. This type of glass is two three times tougher than normal glass to hopefully handle those inevitable drops. The wireless connectivity of the Motorola Droid Razr is top notch. Not many flagship smartphones are going to have the wireless features of this Razr. There is Wi-Fi in all the modes except “A”. There is DLNA ( Digital Living Network Alliance ) which allows the user to send a multimedia signal to a television or monitor. This negates the need to use an HDMI cable. An HDMI cable will not be able to reach across the same expanse as the DLNA feature. Just to play it safe the Razr does come with an HDMI connector. The Wi-Fi also features a “hot spot” section to allow the user to share internet with other devices. Bluetooth is in the most modern version for this handset; 4.0. Motorola throws in a FM radio to round out the package. The rear camera for the Motorola Droid Razr is a fully featured photo snapper. It comes with things like LED flash, auto focus, face detection, image stabilization and geo tagging. The geo tagging feature can be turned off in the menus for safety. The rear camera has eight megapixels of power and the front camera has 1.3 megapixels. The operating system for the Motorola Droid Razr is naturally Android, since Google now owns Motorola mobile. The dual core 1.2 processor is not as spiffy as some HTC models, but should be adequate for normal users. This smartphone will cost $300 dollars on contract and is already available for pre-order.